NBC News alleged in an internal report Monday that the writer Ronan Farrow had taken a source's comments out of context in his reporting on sexual harassment claims against the movie producer Harvey Weinstein while he was working for the network and had misrepresented the source's willingness to identify Weinstein by name. The allegation was included in a 10-page report sent to employees four days after The New York Times quoted Farrow's former NBC producer as having said "the very highest levels of NBC" ordered Farrow to stop his work on the investigation. The producer, Rich McHugh, left NBC News last month. NBC News said it allowed Farrow to take his reporting to The New Yorker because he didn't have any individuals willing to go on the record. Responding to the Times' report last week, it said, "The assertion that NBC News tried to kill the Weinstein story while Ronan Farrow was at NBC News, or even more ludicrously, after he left NBC News, is an outright lie." 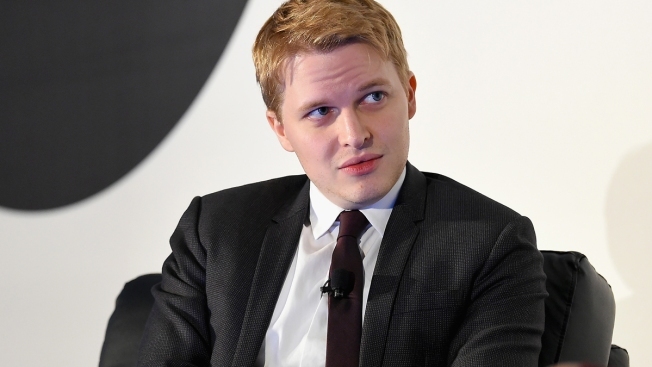 Farrow said in a statement early Tuesday that the NBC News report contained "numerous false or misleading statements," asserting that it was the network's idea that he take his reporting elsewhere, not his, and that "I took them up on it only after it became clear that I was being blocked from further reporting." Farrow said that the network's legal and standards departments both approved his reporting, "only to be blocked by executives who refused to allow us to seek comment from Harvey Weinstein." He said he would have more to say "at the right time." The New Yorker declined to comment.